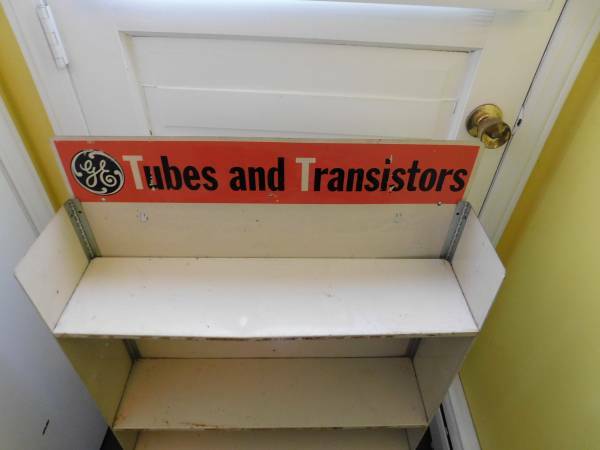 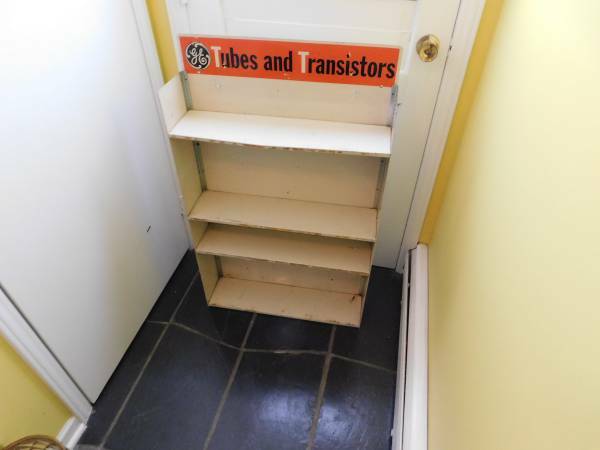 We are selling this neat GE General Electric Tubes & Transistors metal store shelf display. 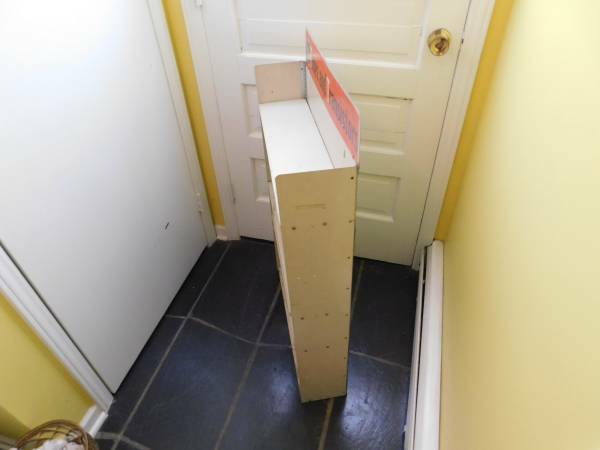 The shelf cam be mounted to a wall or sit on a shelf. 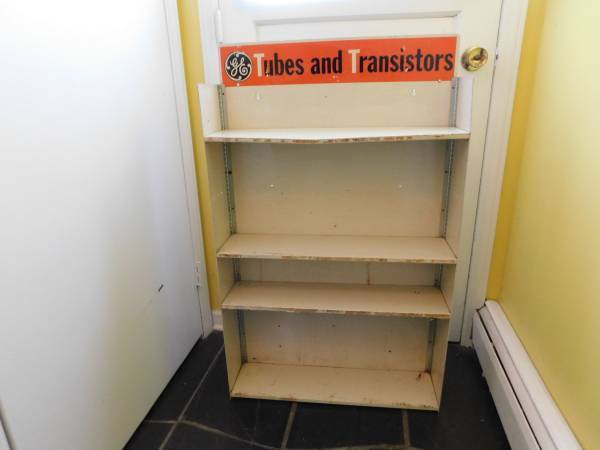 This does have some imperfections like some dents and scratches. 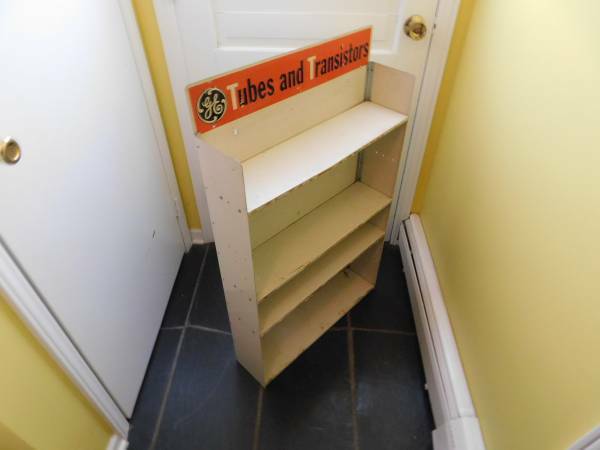 39 1/2 Inches tall-24 inches wide and 6 inches deep. 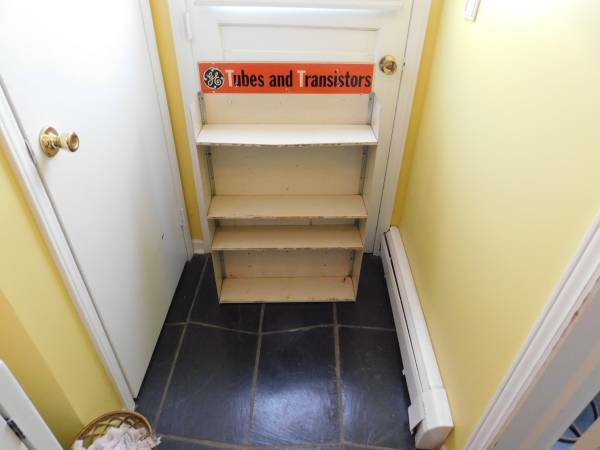 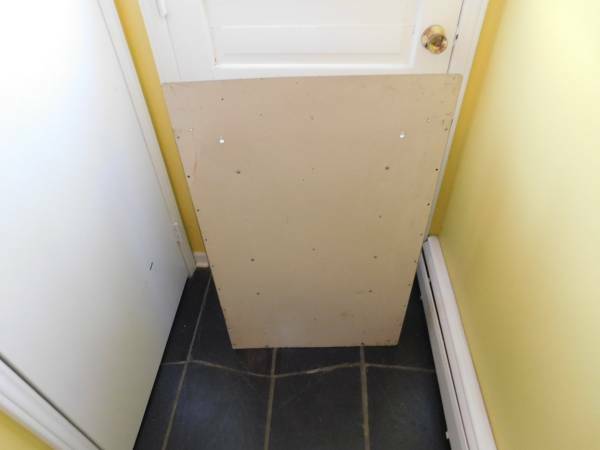 The shelves can be move by removing some screws.